Ernest Pokersnik’s father left Slovenia at the turn of the century and worked for forty years in Bessemer’s brick and cement factories. 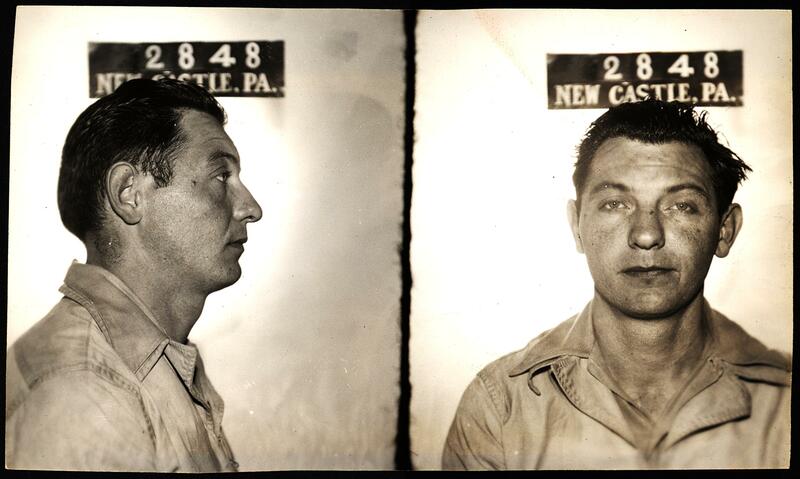 Ernest’s mother died when he was young, and he spent some time in Morganza reform school for larceny. His sentence was lengthened when he broke into the Croatian club to steal two bottles of beer while on parole. Reese told Ernest that, if he gave him $200 and pled guilty, he would use his influence to make sure the judge kept him out of jail. Reese paid him what he asked and did what he said. He got an $85 fine and was sent to the county jail for four to eight months. At the end of summer, when Ernest got out, he told the district attorney what Reese had done. Reese confessed and was fined $200 and given six months in the workhouse. He never achieved elected office. Ernest died in 1988, at the age of seventy. Sources: New Castle News (20 August 1938, “On Court House Hill”; 9 August 1941, “Charles L Reese Council Candidate”; 13 September 1944, “In U S Armed Service”; 16 June 1945, Charles L Reese For Council”; 16 October 1946, “Constable Is Given Sentence”; 24 December 1956, “Deaths Of The Day”). Thank you for posting these stories! They are quite interesting and I look forward to reading each one. Good to know the work’s appreciated, Marty — thanks!